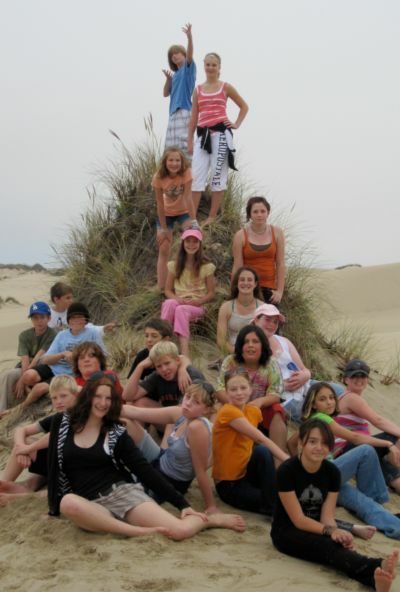 The Lighthouse School is an independent public charter school within the Coos Bay School District, serving children throughout Coos County and as far north as Reedsport. We are a K-8 school, with class sizes ranging from 17-24 students. Our small school environment encourages student accountability regarding both learning and behavior. Core subjects are integrated to promote a deeper understanding of the content, and a broader perspective on the world. Specialty classes include Spanish, art, drama, music, and handwork. In the upper grades, electives such as gardening, gourmet cooking, yearbook, and dance are offered. Parents founded the school in 2002, and continue to be highly involved in governance, fundraising, and community building. Volunteerism is an integral part of our school, and includes activities such as classroom help in reading and math, garden and nature trail maintenance, festival and special events planning, and general office assistance. Our mission is to provide students and their families with a challenging and creative learning environment dedicated to academic excellence. Utilizing an eclectic approach to holistic education, we create an atmosphere in which children can reach their social, creative, and intellectual potential. The Lighthouse School values and models compassion for all living things, respect for the environment, and an appreciation for a changing and diverse world. We nurture the whole child--head, heart, and hands.